Condo living has it's challenges, for me and Mickey, it's all about finding the right scale furniture to fit a cozy space. We bought our first sofa locally and were disappointed after less than a year, the foam started to deteriorate. So, we were very careful in choosing the right sofa when the time came to retire the old one (too soon if you ask me). Mickey would always see me browsing through the Ikea catalog and looking at the two-seater Klippan sofa. 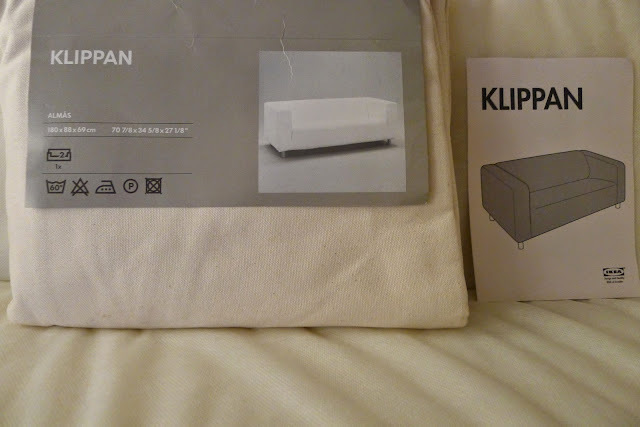 What I love about the Klippan sofa are it's clean lines, contemporary design, removable and interchangeable covers (that changes every year) and the sturdy foam that makes it last long. The Klippan sofa was first introduced in 1979, and thirty four years later, it is still one of Ikea's popular sofa models. So, you can just imagine how happy I was when Mickey surprised me with a two-seater Klippan sofa last December. Now, that's a great husband, haha! He ordered the sofa from Mobler and got the one in the newest cover in Leaby Yellow with an extra cover in Alme Natural, nice! Here it is in our living room after it was assembled by the people from Mobler. 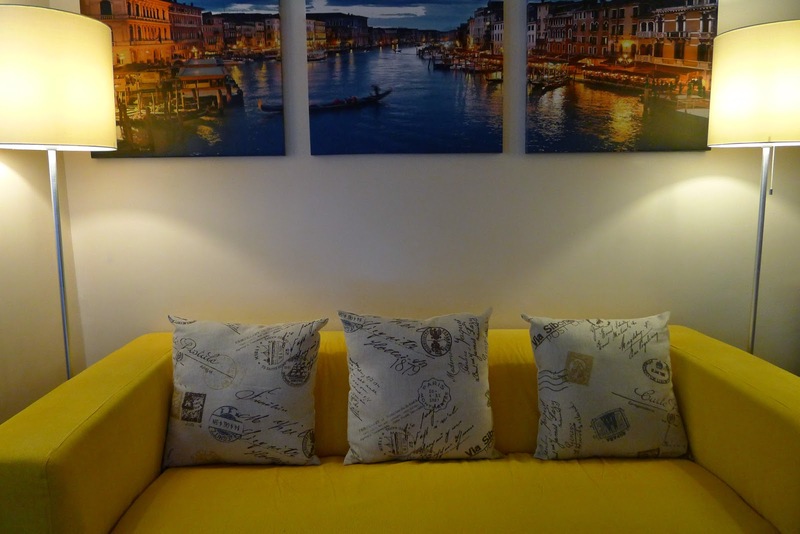 I love it's happy yellow color, It brightens up the living space. 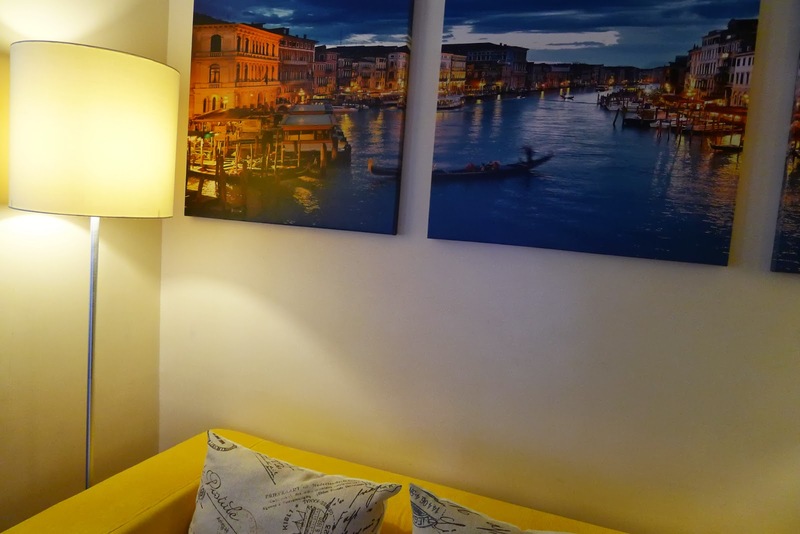 I also love the illumination that this Eglo floor lamp gives to the room, it makes the room feel warm and cozy. The light colored shade makes it a great reading lamp at night. 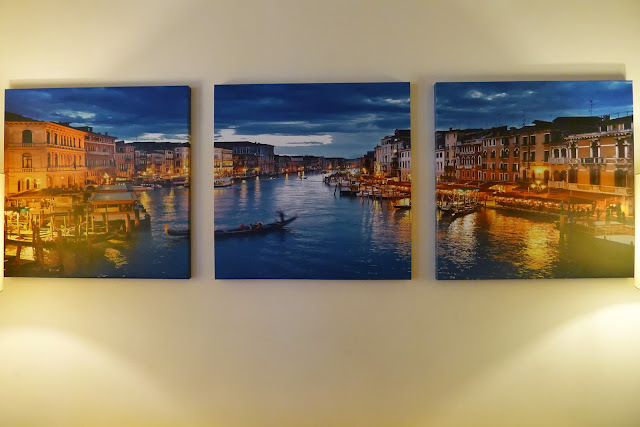 To complement our sofa, and to fill-up and add depth to the bare walls, we bought this panoramic print of beautiful Venice at night from 5 Corners. Since we don't like putting holes on the walls, Mickey used 3M square adhesives to secure the prints to the wall for a clean look. 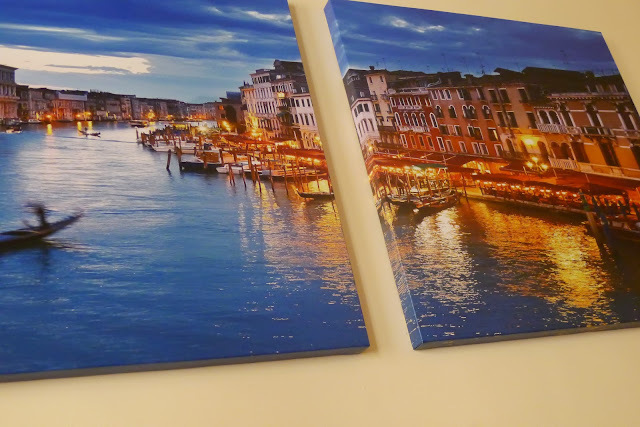 Even paintings are hung with a 3M hook in our unit, it is easy to install and easy to remove too. 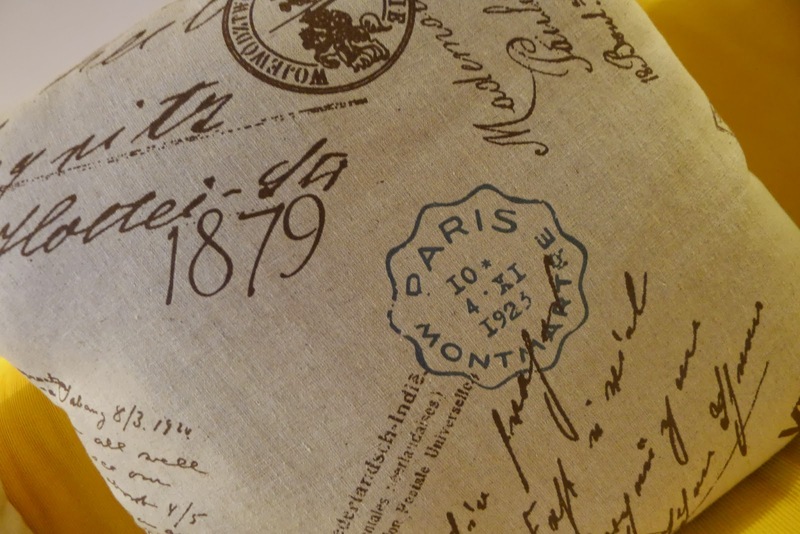 To go with the travel theme, we got these Postal pillows made of Ikea fabric at 5 Corners. The pillow covers are removable and washable. This weekend, with the change of the season, we are changing the covers of our beloved Klippan sofa, this time with the Alme Natural cover. The Alme Natural sofa cover is a bit subdued for me. I love color and the quickest way to liven up the sofa is to add pillows in bright colors. 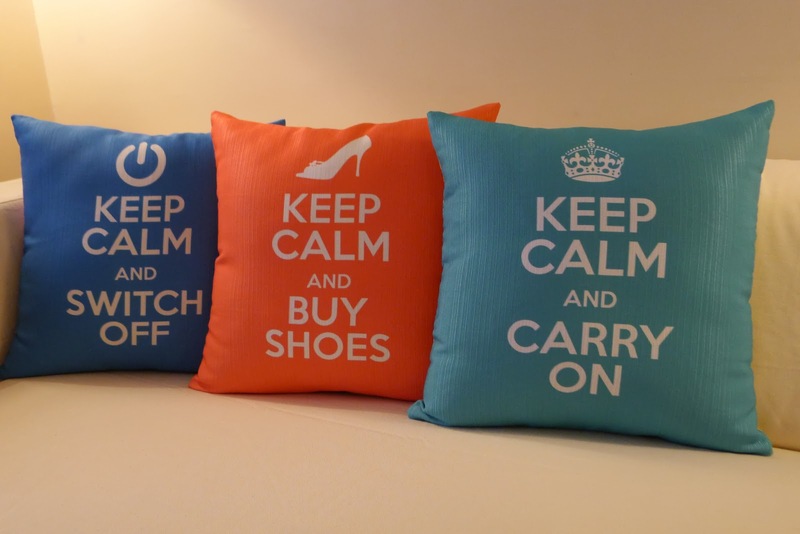 These colorful pillows are from ARQ and are part of their Keep Calm series. 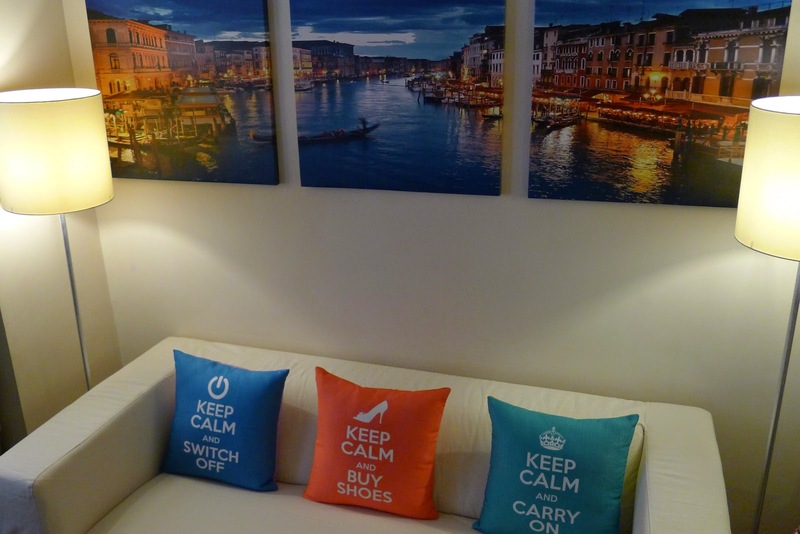 There are other designs, but these three were the ones we chose for the sofa. What I also like about these pillows is that the back of each pillow is of a different color with no print. 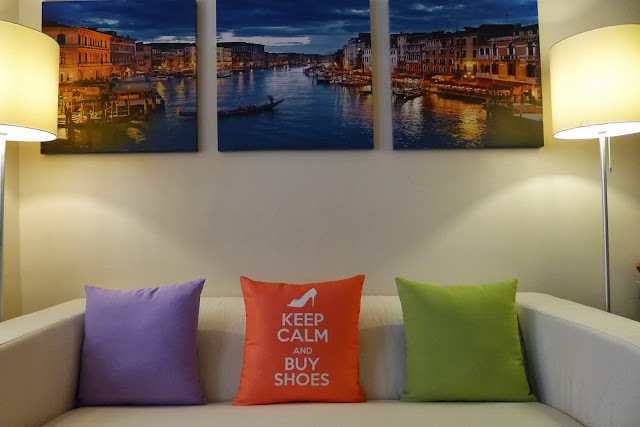 You can just flip the pillow if you'd like a solid color to go with the print. Also, these pillow covers are removable and washable. 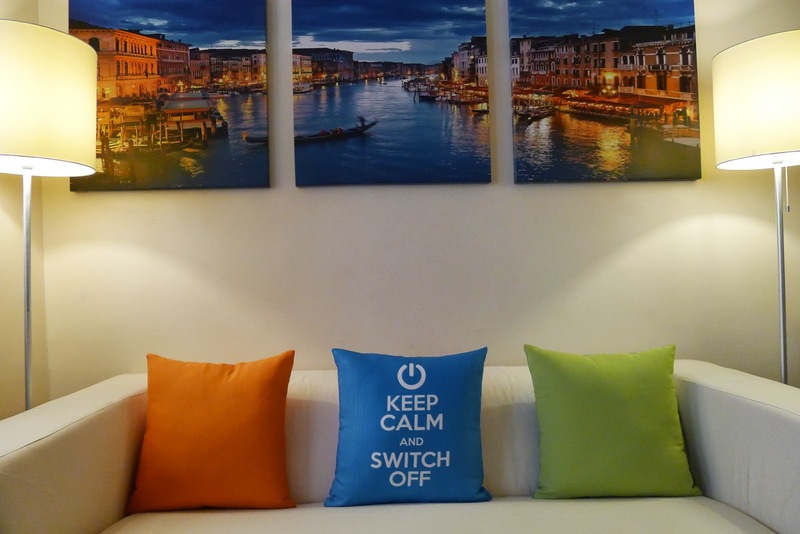 Welcome to my lifestyle & travel blog! 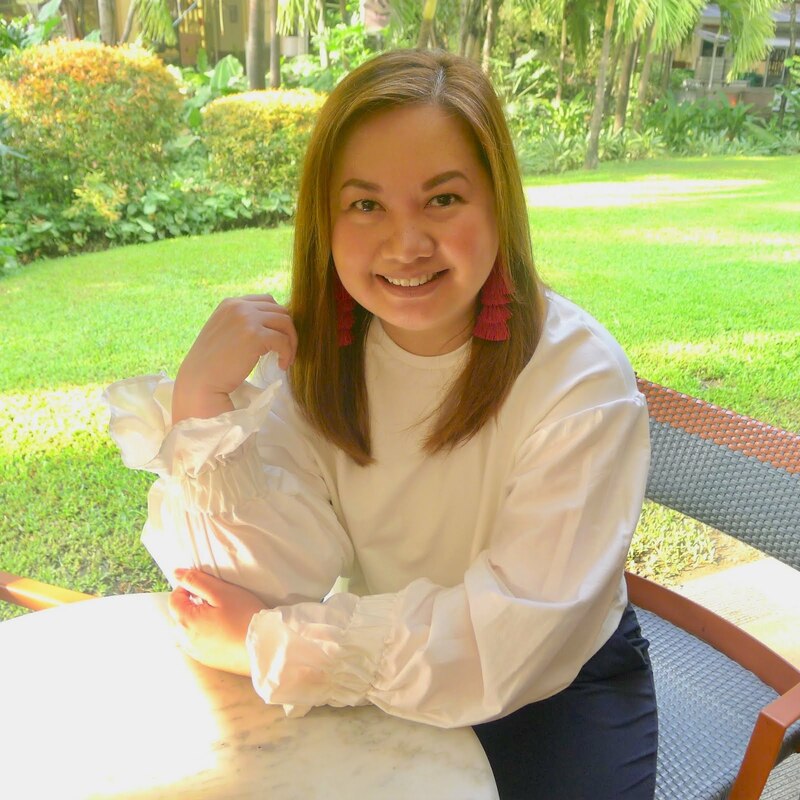 I write about my latest beauty and fashion finds, my love for design and beautiful interiors, traveling to interesting places and discovering new gastronomic delights. Come away with me on my adventures!